The global pharmaceutical sterility testing market is likely to witness a stellar grow during the forecast period 2018 – 2028, owing to significant funding by government behind healthcare sector. 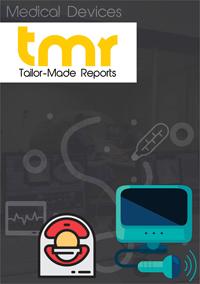 Aggressive rise in healthcare sector due to rapid technological advancement coupled with extensive research and development actives have increased the demand of the market product. Rising number of drugs keeping in focus the sterility and quality of it is prognosticated to catapult the market growth. Surge in spending power of population around the globe is helping the healthcare sector to grow exponentially, resulting in a positive impact on the market. Various advisory bodies have helped the market to push forward, for instance the US Food and Drug Administration nodded for adopting sophisticated and modern sterility testing techniques by manufacturers and labs on contractual basis, providing lucrative growth opportunity for the market. The global pharmaceutical sterility testing market is characterized by the presence of numerous players in the market. The market consists of both global and regional players rising the competition among the players. Accurate sterile tests results have helped to build a trust among doctors and patients which is fueling the demand of market product. Rising incidence of Hospital Acquired Infections is considered to be one of the primary factor driving the market. HAI have increased considerably number of deaths in recent years, except this, it has also made the healthcare costs expensive. However, on the downside, stringent rules and regulation surround the sterility testing market is likely to hamper the growth of market, approval process of a new player in the market is length. Apart from these, need for heavy investment at an initial stage is likely to cause a road block to new players, limiting the market growth. Sterility testing is a process to check whether any microorganism is present in biological parenteral which is designed for human use. Sterility testing is an imperative process for biopharmaceutical products, medical devices and pharmaceutical products which are required to be free from microorganisms. Sterility process is also known as fungistasis and bacteriostasis test. Over the years, the rise in awareness among the population regarding the various threat that can be caused by coming in contact with non-sterile medical devices has favored the pharmaceutical industry to push the market towards the forward direction. The global pharmaceutical sterility testing market is likely to expand at 11.8% of CAGR during the forecast period 2018 – 2028. The market was market was valued at US$ 733.7 mn in 2016, and likely to cost more than that by the end of 2028. Rise in governments’ initiatives in various countries in healthcare industry is to promote the growth of the market. Rise in prevalence of chronic and rare diseases across the world is likely to drive the growth of the market. Increase in geriatric population throughout the world who are vulnerable towards various kind of diseases as they lack immunity is aiding the market to grow. Rapid advancement in healthcare and pharmaceutical industry is gaining trust in peoples’ mind who are willing to spend to spend money behind the treatment. Another factor that is helping the market to grow is the healthcare insurance coverage provided by various government and private banks. Numerous sterile tests have provided accurate and reliable test results thus eradicating any room for error. This is fueling the growth of the market. Pfizer, an American based pharmaceutical organization in order to suffice the rising demand for sterile injectable products, has invested US$465 mn to build one of the most technological advanced sterile injectable pharmaceutical production facilities in Michigan. The facility will be erected in Portage and is expected to become the most advanced production facilities for sterile injectable pharmaceutical production in the world. Pfizer mentioned that the investment by the US will help the capability of Pfizer to generate and deliver lifesaving injectable medicines for patients all across the world. Pfizer announced about the plan just after it suspended its production its sterile injectable plant in India which the US Food and Drug Administration has asked twice for manufacturing and testing issues. The global Pharmaceutical sterility testing market is spread across North America, Asia Pacific, Europe, Middle East and Africa, and Latin America. Amongst the pack, North America continues to hold the leading share in market, attributed to the presence of leading pharmaceutical industry accompanied with the rise in demand for sterility testing. Another factor helping North America to hold the lead is the entry of several new players in the region. North America is followed by Asia Pacific. This region is likely to become the fastest growing market by the end of the forecast period due to the rise in the pharmaceutical industries in the region accompanied with rise in initiatives by government on the healthcare sector.